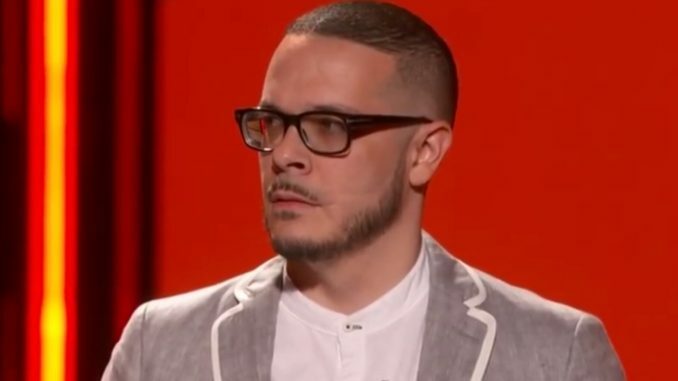 Human Rights Activist and Journalist Shaun King – whose work has served as the primary news source regarding the Black Lives Matter Movement, police brutality and outward acts of racism – revealed he was targeted by New York’s child services agency – or a stalker – who approached his home and pretended to offer childcare for his children. This isn’t the first time King has been targeted by government agencies. Back in April, Shaun and his family were pulled out of the passport line by U.S. Immigration and Customs Enforcement officers at New York’s JFK Airport. According to King, his wife, 3 children and himself were all called by name by the officers to exit the line and escorted into a secluded interrogation room. King says he was questioned specifically on his “role as a leader in the #BlackLivesMatter Movement” and why he and his family traveled to Egypt. The family was coming back from Cairo. Wednesday night, King revealed he was targeted again. While heading to see his daughter’s musical, King was alerted by the doorman at his apartment that a woman was there, claiming she provided childcare for his 3 children. King has never hired outside childcare. Upon further questioning, the woman then claimed she worked for ACS, New York City Administration for Children’s Services, and “demanded” to see King’s children. The woman claimed the agency received a call that King and his wife abandoned their children and allowed them to do drugs. The woman, who called herself Elisa Hiu, didn’t believe the Kings weren’t present in the apartment, but later demanded to know where they were so she could see his children. King refused, and the woman threatened to call police. Unfortunately, being at the forefront of today’s modern civil rights era – Trump era – King is routinely beleaguered with death threats, hate speech, false accusations and government interference.